In IIN, I learned to treat your kitchen as a sanctuary. Cooking is a form of alchemy- you literally transform food into bloodstream. Each thread of hair, cell, or fingernail was created by food! It may seem obvious, but it’s something we often forget. Foods also have their own energy which constitutes your energy. Ever eat a steak and feel rearin’ to go? 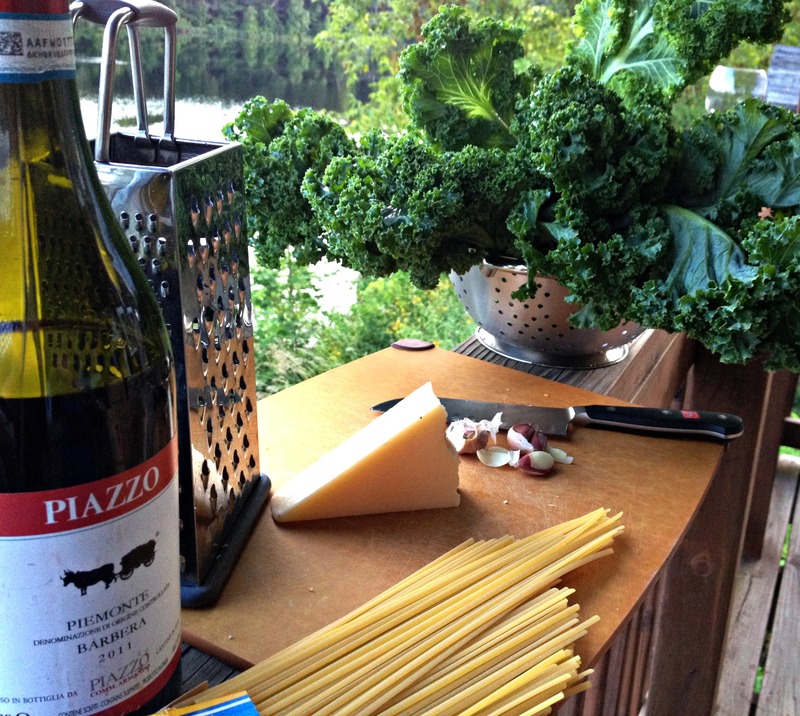 Or enjoyed some grilled organic vegetables and feel very grounded? The same is true for the energy you bring into the kitchen- your mood while cooking will influence the energy of your food. By calming your presence before entering the kitchen and setting the stage (with a candle, saying a prayer, or a glass of wine) you’re better able to produce a more nutritious, enjoyable meal. 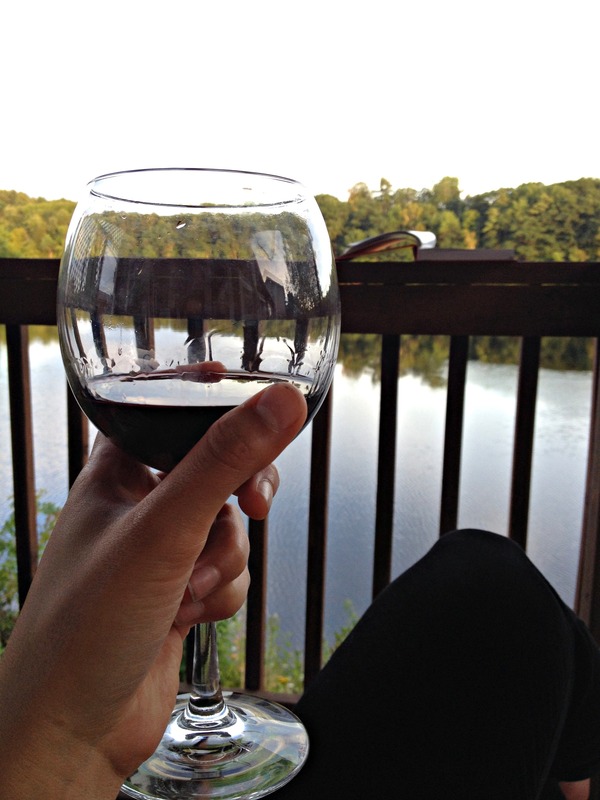 As this was a very special meal, I had two glasses of wine to prepare! This meal is not glamorous, but it’s grounded in family and quality ingredients- the perfect foundation to our new home. I designed it around one stand-out ingredient: the freshly harvested garlic we were gifted last weekend by Trevor’s grandfather. I don’t hold back with it, and use the whole head (9 cloves.) I use my palm to press down and break open the skin, revealing the soft white flesh inside. The smell is immediately fresh and pungent. 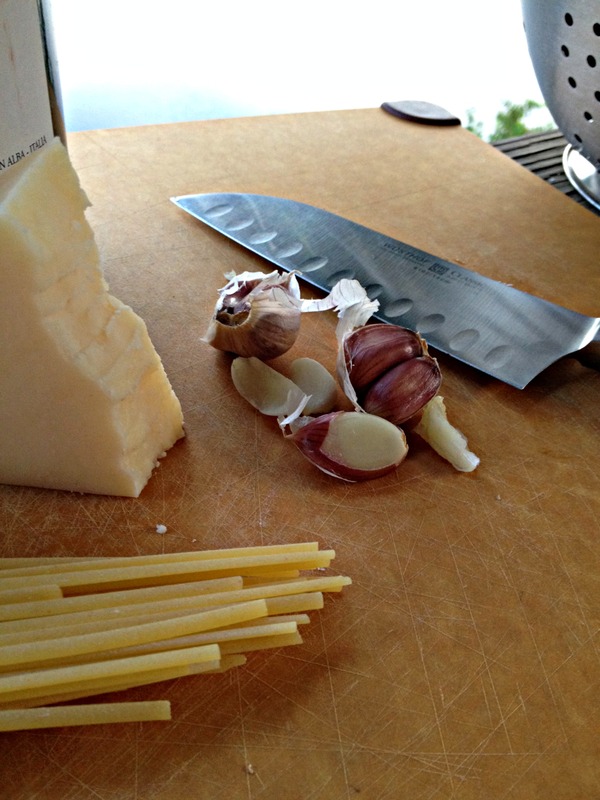 I eat a clove raw while prepping. CRUNCHY, spicy, bitter, earthy, rich, and then sweet. It tingles and lingers on my tongue, filling my mouth. I can see Trevor’s grandfather, Pops, out in his magnificent garden, elbows deep in soil, digging up this natural candy. If you don’t grow your own garlic, it’s worth going to a farmer’s market to get quality cloves- the difference is remarkable. Grate cheese (use the whole block!) and set aside. 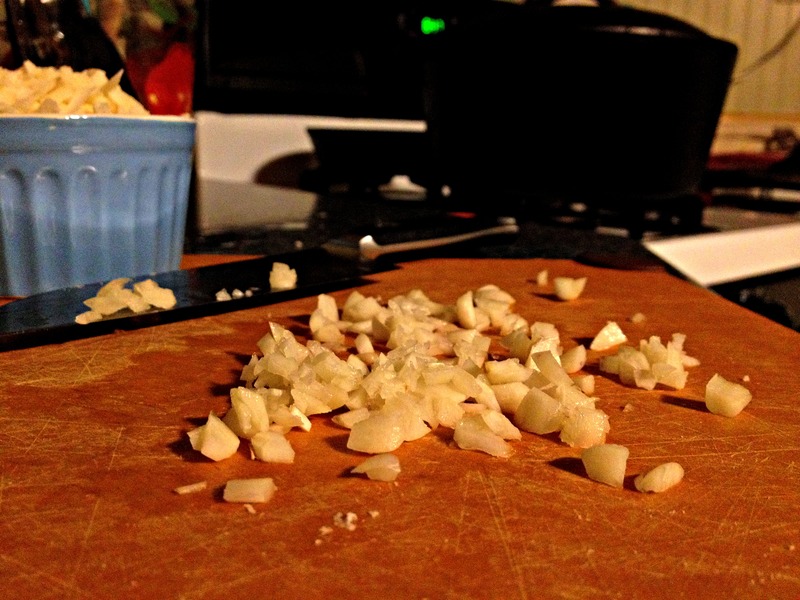 Chop garlic coarsely, set aside. While pasta is boiling, bring a generous amount of olive oil to a medium-high heat (should be almost popping in the pan.) Add garlic and sauté until the edges begin to brown. Remove from heat. 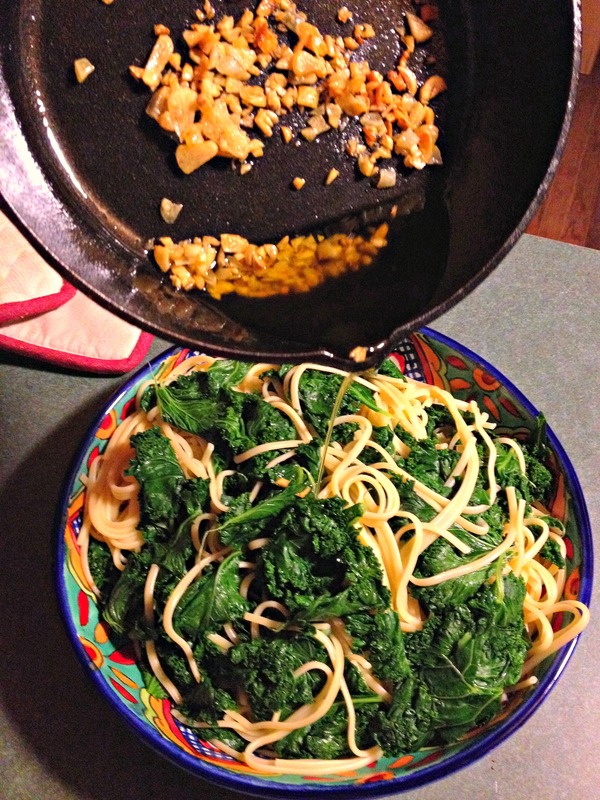 Rip off large bits of kale from the stems and throw them into the pasta pot. 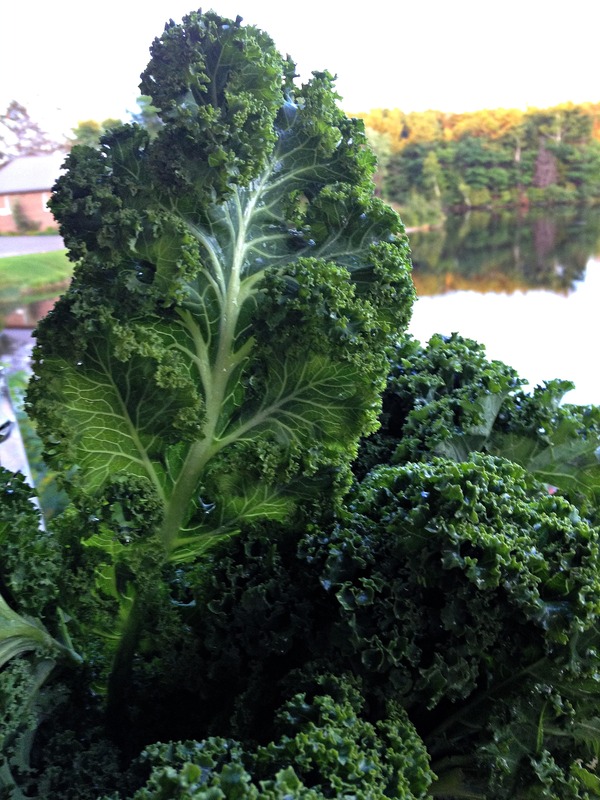 Submerge kale in the water with a big spoon and take off heat. 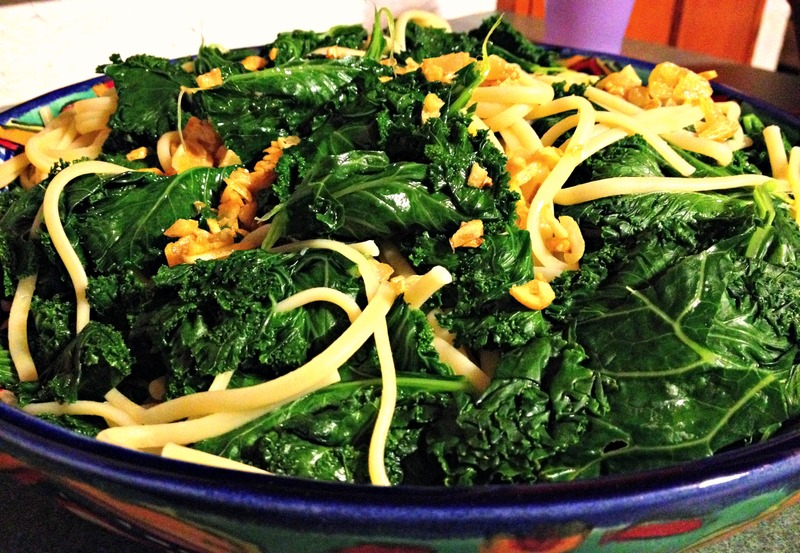 Drain pasta/kale mixture in large colander. Return to the pot. Mix in parmesan cheese, and drizzle garlic and olive oil throughout. Mix again. Voila! Heap into bowls and devour with ferocity. The best part of the evening? 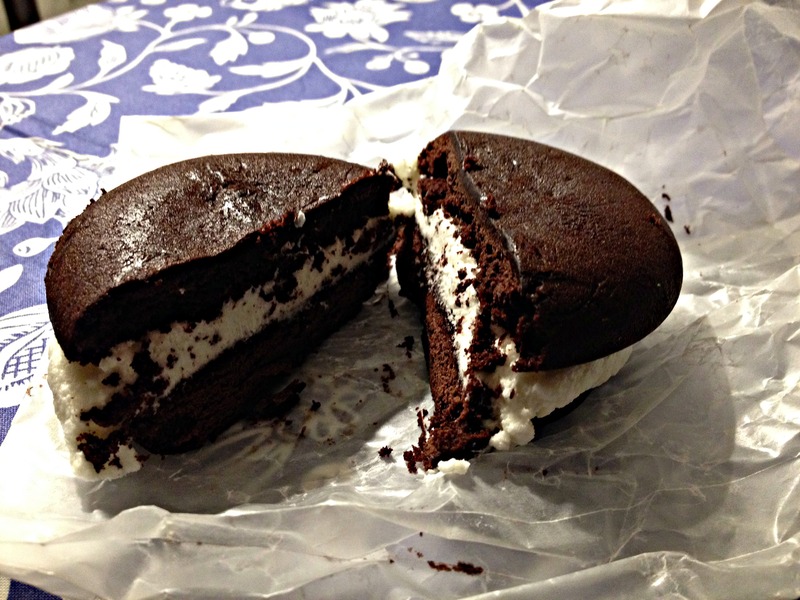 Trevor came home with the BEST whoopie pies I’ve ever eaten! After we finished eating, I felt very calm and safe. Take note of how you feel after your meals…do you feel bloated, heavy, light, energetic, comforted, excited, or tense? By tracking your emotions directly after a meal, you can start narrowing down the factors that made you feel that way. Were you stressed when you began cooking? Did you buy cheap, sub-par ingredients? Was the meal eaten at a table with family, or in front of a TV? Slow down and chew each bite carefully, savoring your creation. After all, you are what (and how) you eat!